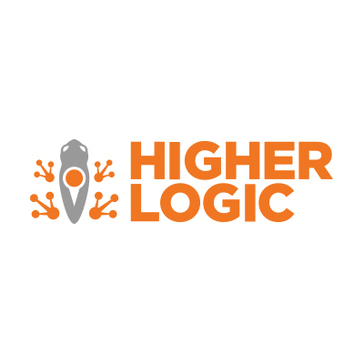 Do you work for Higher Logic Marketing Automation Professional? What is Higher Logic Marketing Automation Professional? "Informz is leader in its class"
Informz staff is incredibly knowledgeable and easy to work with. They are constantly improving the product and are leading edge in capabilities. Working with Association technologies can be challenging and they make my job so much easier! I'll let you know if i find something. So far, nothing I don't like. If I was to reach, I'd say the price but it's worth it for me to know the data is correct and how much it can help me. Make sure to understand your integration fully before committing, that's the only reason I didn't rate 7 on meets requirements but that's no fault of Informz. Also make sure staff understand the interface and how to use. Managing subscribers, unsubscribes, segmenting for marketing. Too many to list! "Informz is the Best eMail Marketing Tool Out There!" Informz's customer service is the best bar none. Having a dedicated email marketing advisor means you're never left with a question or wondering how to use the system and the team is always there to help with any issue and to make your email marketing campaigns better. The system is super easy to use and just gets better and better with every update and upgrade. Informz is very much in tune with their customers' needs and wants and makes every effort to remain ahead of the email marketing curve. There isn't anything that I dislike! I love Informz and have been using it for 10 years. Don't think about it twice! Specifically, if you use iMIS as your AMS database, Informz is the product for you! Our original goal with Informz was to simply be able to track email marketing campaigns but since then we have been able to do all sorts of things - survey, testing, redesigning, etc., - in an effort to constantly improve our email communications. "Steep learning curve, but robust integration with CRM software." The integration with our CRM was the main selling point. It has allowed us to write queries in our CRM that automatically sync with Informz, write data about customer engagement back to our database, and manage user subscriptions in a way that aligns with industry standard. Because of the integration with our CRM, the user tracking is much more robust than other services we have tried, like Campaign Monitor and Constant Contact. Setup can be a lot more complex that you might first assume. The built in list filtering tools, though they might seem robust, can be quite limiting. Email templates are about middle of the road in terms of ease of use. Email blocks must be bought in advance to get the best prices, but they expire if you don't use them in a set timeframe. It used to be very unstable in Chrome, but that seems to have been fixed. It doesn't like being open in more than one tab though. Do this for the CRM integration. If you're not going to use the API, don't bother. As a newer Informz user, I love Informz's customer service. Without my client advisor explaining the ins and outs of their product, I would not have been able to learn the product as quickly as I have. He is always quick to answer an email or return a call. I also really like the various reporting options. Coming into a newly created position, the various reports really help me to validate the value of marketing to our Board of Directors. I find it frustrating when I need to unsubscribe a member and need to do unsubscribe them from both the parent account and ALL child accounts. It's very time-consuming. When I first starting using Informz, I had a difficult time learning all of the product's quirks. It takes some trial and error - including a few rounds of test emails before I was adjusted to the product. One of my main objectives when coming into this role was to increase engagement and communication with our membership. I felt like the onboarding process to Informz was extremely well thought out, personal, and informative. From the beginning we knew who would be handling our account at each step of the way, gave us homework to be prepared, and so much more. After we were live we were assigned a specific person to guide us and answer questions (Carmina) and she has been such an asset to us. There's a bit of a learning curve, because the software is so robust. It is a bit overwhelming for someone who is time limited to learn, but that's more a user issue (me) than a software deficiency. If you need an incredibly robust platform that can manage campaigns, analytics, etc. then this is the platform for you. To get your monies worth out of the system you do need to be able to invest some human capital in learning and taking advantage of all the functionality. If you are simply looking for an email or E-Newsletter tool then Informz is likely more than you need and there are many other great vehicles for that. As a trade association we struggle with how to best reach our members (customers) and needed to know what their hot buttons are, how frequently to communicate to them, and what to communicate. The analytics built into Informz have assisted us with this a great deal from A/B testing subject lines to just analyzing click throughs. "Great product and better service"
I have been using Infomrz for about 6 years now and love it. We have had updates to our database and they have ensured that the links and bridges always worked so that we did not lose connectivity during the upgrades. They have redesigned the user interface several times, each better than the last. And, most importantly, they value your input and when you suggest changes that make the product better, they sometimes just magically appear in a future upgrade. The staff is VERY service oriented. The only thing I really dislike is getting used to the improvements when they roll out upgrades. On the up side, our support person is always there to "hold my hand" and walk me through things. Work with your support person. They will take care of you and look for your comments to appear in future versions. They really do listen to what you say. We are actively tracking our open rates and integrating a new business into our organization. We know that Informz will be there the entire way. We will finally be able to track all emails to one person, regardless of which group sends the email. "One-stop email shop with outstanding customer service"
Informz is the best mass email service I have used in my professional career. The level of support they provide is unmatched and the opportunities for learning through their webinars/seminars is excellent. It is so great to have a relationship with my Informz advisor, who is available to help me with any difficulty I might be having. Informz can be used by individuals who have minimal experience designing emails, as well as super-users. As a Canadian user, sometimes the Informz server can be a bit slow, but this is more of a mild annoyance than a dislike. Due to Informz' robust reporting feature, I am able to quickly analyze the effectiveness of an email campaign, allowing me to improve and make adjustments for future campaigns. Our delivery, open and click rates have all improved as a result. Informz' easy integration with the iMIS database also allows seamless transfer of data between the two platforms, saving us time and effort. "Awesome features and client service"
I like that Informz makes reviewing your mailing reports easy. There's so much information they provide and Informz helps you to analyze data to improve your email marketing strategy. I also like that they keep clients well-informed of new features and also provide webinars on how to utilize the features. I think their customer service is top-notch. Our adviser is always quick to respond and share a solution or suggestion. I enjoy their blog and Knowledgebase, too. Both offer lots of great tips on the ins and outs of Informz and maximizing your email marketing strategy. The only thing I dislike is that it's hard to find time to use Informz's capabilities to the full potential! I think it'll be hard to find a better service for non-profit/association email marketing. Fantastic features and superb service. My association uses Infromz as our mass email software, so it's our primary way to communicate information with our members. Working in Informz is one of my favorite parts of my job. We have benefited from so many Informz products and features, like: subject line testing, mailing reports showing click rates/hot spots, surveys, and voting. I like the continued drive to improve upon their product, whether it be UI or new drag and drop template designer that will be coming out soon. My new eMarketing Advisor is a pleasure to work with, always prompt with replies and providing valuable and actionable solutions to any issues that come up. Reporting elements could be upgraded as well as send abilities. Often I have issues with the program freezing, kicking me out, and without an auto-save option, that can be really frustrating. Clearly make sure it fits within your budget and check as many reviews possible to compare like-companies and needs to yours. Have a list of everything you need from the product and check off that list prior to signing. Think of everyday tasks, reporting options, automation tools etc. Make sure it checks off all of your requirements and see if there will be upgrades on the horizon. Auto-campaigns have become helpful to our company creating time-savers. "Informz - Has been terrific for us. " Customer Service, you get a rep automatically assigned to you and they don't try to do weird hourly billing stuff. The product is intuitive, always improving, and it's a great company/team leading it. Some of the automation tools, you have to add on. We're always battling hospital spam servers, but I don't think that's specifically Informz's issue. It's old school block pricing, actually is one of its major benefits. As a result of the block emailing packages, it has encouraged our staff not to over email our clients and customers. Informz's block pricing makes it way more affordable compared to other email blast tools. One-on-one support is included during business hours. It integrates well with a lot of database systems. The out of the box product meets almost all of our needs, anyone looking for something more advance, it offers those features as add-ons. The programming is top notch and so is the customer support. It has been a terrific experience for us as a small non-profit staff that does not have an IT Department. It's a great marketing email tool that's intuitive for staff, automatically provides one-on-one support, and really fits the budget of a small non-profit. It integrates with a lot of database systems, so we have been able to keep it even when we changed CRM Database Systems. "Informz is a huge asset so we can get our work done"
The events module has given us an online platform to register participants for all of our online and in-person events. You can create invitation mailings then automatic confirmation and reminder mailings. There isn't much we don't like. There are some interface uses that seem a little clunky but Informz responds well if you are having an issue navigating anything in your account. As a State funded agency we have to review new e-mail marketing companies every 3 years to determine that we are getting the best price for performance. We always, always come back to Informz. This company provides the best service and product features. They are immensely dynamic in their capabilities. We have grown our audience tremendously by using Informz. We started out with a small e-mail list of participants that we used to get through paper registrations. When we started sending e-mail announcements for programs through Informz, users were able to forward them to colleagues. We have since grown our small database from 2,000 subscribers to over 60K. It's fantastic. We have a national reach now. "I'm a Superfan, and I bet you will be one too!" Customer service is a priority with Informz. Each account gets a dedicated Advisor, who can answer all of your questions, large or small, routine or unique. If your Advisor isn't available to take your call, you can be connected to another Advisor who is equally happy to help. Informz is an email marketing company, and their platform is designed to make email marketing easy and help you produce the results you're looking for. Looking to increase alumni engagement? Your Advisor can look at your email history and help you find a way. Looking to increase membership? Your Advisor can offer you tips and strategies that have worked for clients with your goals and interests. Training is readily available, both in the online Knowledge Base and via regularly scheduled webinars. If your organization needs more personal attention to take your marketing to the next level, professional services can help schedule the type of training that fits your budget and your needs. Informz offers professional services a la carte for things like designing and implementing new email templates. The programming team will help you take your design from graphics files to programmed template, with bulletproof responsive coding to get your design delivered to inboxes exactly as you intend it to be. Informz creates Superfans with their dedicated customer service, the quality of their professional services, and their commitment to helping you achieve your organization's goals. There is very little that I dislike about the Informz platform, and most of those are common to every email marketing platform that my organization has reviewed. File management for images can be a few more steps than I would like, but there is a drag and drop uploading interface that makes it easy to get the images in once you know where you want them to be. Remember to count the customer service as part of the "purchase price" of your email marketing platform. There are cheaper platforms out there, but this kind of support doesn't come from low-budget ESPs. Informz helps us market to college-age students as well as our alumni and donor base. The analysis that we're able to do after each email helps us narrowly target our next emails in the series - we don't waste effort doing the same things over and over. If it doesn't work, we see that clearly in the statistics and we're able to change up our strategy quickly. "User-friendly and Good Reporting Method"
I love the reporting. It shows how many have been sent, delivered, opened, clicked, etc. It is a great way to track who has received and read the emails that we send. The mailing designer is also very easy to use as it goes step by step in creating your mailing. I dislike the need to upload my subscribers every time I send out a mailing. I need to upload the list separate from the mailing, either in advance of setting up the mailing, or during the mailing but in another window. This disrupts what I am working on with the mailing. Informz helps me solve problems where our members complain that they have not received our mailing, but I can see that it has been delivered to them, but they did not open it. It is a great way to track the mailings. "Email marketing solution and so much more"
Informz provided a seamless integration to our iMIS database. We are collecting member activity and engagement to help collect and track data to better support our members. Some of the newer features have do not have as much information in the community area as I would like to see when searching a topic and looking for client feedback. Many of the tools you may likely look to other apps to resolve Informz has or is implementing. We thought we needed additional applications for marketing automation, web tracking, landing pages and forms. But they were already in Informz or be added as we were ramping up our interest. We started with Marketing Automation shortly after it's release. We are very excited about possibilities there and are looking to adapt it more fluidly. Web tracking is fully configured and we rely on those reports often. "Gets the Job Done- That's About It"
That ease in duplicating templates, once you learn how to really use it, it becomes quite easy to plug information in quickly, and you're in and out of your newsletters and emails before you know it. It's not very flexible, and it's not very user friendly (it can take a long time to really learn how to utilize the product and even then I don't think I really ever learned how to really use it to it's full capacity). It also ran, very, very slow, and at least on our end of things, we couldn't have more than one person in a newsletter at a time. You're pretty limited with what you can and cannot do. The ease in wanting to try something new is very difficult and ends up being more of a daunting task than what it's worth going through. I also feel as if the options for Informz were very outdated. It didn't seem to allow us to keep up with "what looks good" from a marketing, and customer appealing perspective. It allowed us to do what we needed to do, but I always found myself wishing it would give us more, and made us feel more up to date. Just realize that is does take a while to get the hang of, and while there are some good features, I think it still leaves you very limited with what you can, and cannot do. It seems to make you look outdated, and there doesn't seem to be a whole lot of progress for that, and it doesn't seem like Informz has people there to assist in that area either. I'm not sure what we have solved any business problems with it - it just has allowed us to communicate with our members. It was nice to know that there was consistency there within templates that we could create and everything. "The Best for a Busy Office"
The products that Informz offers are standard among most email newsletter providers, but the customer service is the best! Also, they have the most consistent wysiwig editor, most of the other email platforms I've used add tons of extra tags in your code that just mess everything up. Informz stays really clean! I love my campaign team, they keep up with everything! The reporting functions could use some work and updating. It'd be great if there was a way to export all data, or to build custom reports showing the info I want. This is a really clean way to communicate with our potential visitors. They have built in API integration with our CRM provider, so leads are auto synced between our database and Informz, which can be a time/money saver! Informz is extremely user-friendly. I had to learn Informz when I started at my current position and it took no time at all to get trained on it. They also have THE BEST customer service when you're having trouble or need advice. It would be great if Informz connected with other programs we use such as Jotforms. It connects with IMis but not very well. Ideally, their forms would be more customizable so we could use them instead of Jotform! The Campaign Manager allows to focus less on the timing and supervision of emails. We're also able to get into the analytics of open rates and click rates to really evaluate our campaigns. We rely on email a lot and Informz is perfect for our strategy. "Director of Content and Digital Marketing"
Informz is a great platform with limitless customization for emails. It allows user unprecedented access to html when setting up templates and emails, which allows for customization and ease of use. There isn't anything you can't create in informz due to this. The send features are really robust as well. From email subject line testing, to sending to recipients based on when they routinely open emails, you can customize your sending preferences as well. The reports are clear and concise and easy to understand. They have data heavy view options which can export to Excel, and a visual version at a glance. You can also create automated campaigns, that auto send emails based on user actions, which can be a great tool. You can literally do pretty much anything you can think of with Informz. With all the features comes a bit of complication. Although you can use a visual editor, etc to make and send emails, I would recommend Informz to more technologically inclined marketers. Like any email system it has it's own quirks, and it takes a few rounds of sending emails before you get adjusted to the system. Overall, I don't really have anything I "dislike" about Informz. If you are serious about your email marketing I would highly recommend Informz to any business that wants to take their email marketing to the next level. We are a membership based organization and Informz has helped us segment our customers and build customized/automated campaigns to attract new members. Their team is great to work with. Greg offers excellent customer service and even recommends new strategies when trying to accomplish goals. I highly recommend using their team to build email templates and work with them on creating automated campaigns. With Greg's help, we have completely rebranded our email campaign and are starting to see the results! "The best email marketing solution for associations"
Informz is easily the best email marketing solution for associations. Informz offers database integrations, making it easy to 'pull' personalized information into your marketing messages and drill down to your best target audience. I utilize most informz features in my current role, but I like the campaign designer the best. Don't even get me started on the template gallery -- what a wonderful FREE resource! Customer services is top notch — not automated ticket system here — but rather a real person who is passionate about making your email marketing the best it can be. These are some of the reasons I continue to recommend informz to my employers. There isn't much about Informz that I dislike. One area for improvement would be the timing of various features getting "turned on" in an account. I find that in talking to my emarketing advisor we often find solutions to problems that could have been fixed with a feature thats hiding somewhere in my account. With a flip of a switch, the feature is turned on and the problem is resolved. Automated messaging and campaigns have taken my associations tired marketing strategies and revitalized them. We've been able to identify and send messages based on more than just a job title, but rather a members "persona". We've drastically reduced the amount of marketing emails sent, while improving our registration and conversions on nearly all products. We have official eliminated the "send-to-all" mentality. "Informz has taken our marketing to the next level"
The integration of our account management software with to an easy to use platform. Their dedicated eMarketing advisors are also excellent and included in your service. Very little, but the good outweighs the bad. Occasionally, there are some page loading issues, but very minor when looking at the scope of the product. Read these recommendations and see if there are some current Informz users, like myself, that would be happy to talk with you and their experiences before taking the plunge. Ask about experiences to help you decide if your team is ready to take on the new platform. There is so much that Informz offers us at a price point that our non-profit can afford, which is always an issue. We wanted to target market prior to using Informz, but the hand sorting of lists was painful. The fact that we can interact with our data and truly target market to our members is amazing. We've seen increased activity in opens/clicks and with our registrations! "Informz Does the Job and Does it Well"
Options, Options, Options. The platform allows me to segment my data in almost anyway imagineable and then use it in a meanful manner all while never having to export or leave the system. When setup properly almost everything is dynamic and stays up-to-date automatically so you know you are using the latest data. To the beginner the system can be pretty intimidating to navigate. Switching to a new system is always hard and has its bumps in the road. The hard work on getting things integrated properly will pay HUGE dividends in the long run. We are becoming much more targeted in our outreach efforts which drastically increases the ROI on my time and serves our membership better. I really like that when I give my Advisory suggestions that they are listened to and submitted for review. Also, Taryn is very available and patient. I like that Informz is pretty easy to use and has multiple modules that assist in our Association's communication with our members and customers. There are some ares of the program that feel outdated and do not have the most intuitive processes. However, I believe my advisor has told me that several of those issues are being worked on and will be included in future updates. Also, I don't often get the best responses from the engineers that I've submitted coding questions to. I haven't had to do this often so it's not a real impediment. We are working to improve communications with our members and customers. We hope that our future campaigns will assist us in sustained engagement with our audiences. "Always looking for ways to improve the user experience"
This is a user-friendly product and an innovative company that seems to never stop looking for ways to make things better. I especially like the ability to easily create targets and the automation features, which I'm still learning how to use to the greatest advantage. Sometimes technical issues that arise take longer to resolve than I would like. It's pricey but you get what you pay for. It's like having another staff member who's smart and capable. The days of "blast" are gone! We are able to more adeptly target members with Informz. We've saved our membership department in particular lots of administrative time and money. We've improved our member onboarding significantly. And we haven't fully scratched the surface of what's available. A great tool for beginners, and a transformative tool for those who have the time and staff to fully realize its potential. "Decent platform; great customer service"
The platform is very user-friendly. The customer care is exceptional, and they are always willing to send ideas to their development team to better their services/platform. It's an intuitive software system that is easy to use, while providing great marketing functionality. The platform is great for small businesses. We are a large business that sends thousands of emails a week. Sometimes the platform does not offer us the dynamic-content capabilities we need. However, the development team is working with us to better enhance the platform to meet our needs. Through Informz we are able to streamline our email marketing campaign process. "Informz is a huge asset to our society"
The Link/image checks help us maintain a professional image while the interface with iMIS ensures that we are always communicating with the most current list of members. Navigating through the various menus to find all of our lists and our mailing templates sometimes does involve a bit if extra clicking around to find. I have on several occasions discovered colleagues who were manually pulling lists to import that there are have been queries set up in Informz since we starting using it 4 years ago. Informz is a very powerful software. The metrics available are so useful, but the part that makes Informz outstanding is the Customer Service. Anytime we have a question, they are more than happy to help, and often will give us even more suggestions that make our use of Informz even more streamlined. I can't say enough good things about them. We have a number of regional sections that our members can join. Our volunteer section presidents can now easily send monthly newsletters to their sections on their own without violating our society privacy rules about revealing email addresses. This frees up staff time as well as gives them some autonomy - win-win for all of us! "Great product - great people!" The product is very easy to use, but if you have a questions someone is always around to answer. They continue to improve the product, but don't take three steps back to move i step forward like some other companies. It's been a great experience. There is nothing I dislike. It all works as promised. Our AMS has a clunky communication manager that doesn't allow us to show of our brand in the best possible light - Informz has solved that. Plus, the ability to have automated campaigns reach the people we ant, when we want them too is fantastic. With a small staff this is a lifesaver! There are tons of reporting options to help you analyze various mailing data to improve in the future. Aside from this, I like the customer service at Informz and the fact that they're always looking to improve their product. Whenever I have a question or need assistance with a problem I'm having, my Informz advisor is always quick to respond. I've personally been using Informz for more than five years and have found it to always be improving in terms of usability and new features added. Not much I dislike. Often times, I write emails in a Word document and copy/paste it into Notepad and then to Informz. I sometimes find myself formatting emails directly in the HTML source code in Informz to ensure the proper formatting is maintained and not distorted when it's transferred into Informz. This could just be user error, but if there was a way for it to be more "dummy-proof" to avoid formatting errors, that'd make my job easier. Go for it. Good product and great customer support. We needed an email marketing solution that synced with our member database of nearly 70,000 individuals. We benefited from using Informz as they are one of the only email marketing companies that sync with our iMIS database. "Great product for price "
Right from the beginning the customer service is always been wonderful. They are prompt responsive and I usually get back to me within an hour during normal working days. The system is very easy to use, very intuitive and easy to understand where you need to go to find what you need to build an email. The one thing I do not like about informs is that you pay per email. Rather than paying a flat monthly fee I pay for every email that I send out. This intern has made me segment more of my emails to target them better, but it also reduces my reach of messaging as I'm trying to control how much I send out. Informs is good for someone who has experience with email marketing. While the advisers are great to work with you do need general knowledge of best practices and knowing how to set up your own templates and manipulate them is very helpful. Informs has solved a lot of our marketing needs. In the last five years that I focus more on email marketing, we've reduced the amount of mail that would cost us a lot in postage per piece. We can easily track our email campaigns which is making it easier to follow up. As an email marketing tool, Informz is intuitive and very user friendly. It is very easy to adjust the layout and design of your emails, and the analytics reports are easy to review and understand. Test emails are accurate and true to form (which is not always the case with some e-marketing platforms). The interface can sometimes be slow - and often incompatible with Chrome. Issue will often resolve if you use "open in a new tab/window" option. Clients also pay per email. If you are looking for a solution that will help automate e-marketing, Informz is a quick and user-friendly tool to support your objective. However, it seems to lack integration capabilities with CRMs to help you track your prospects and your leads. Our organization uses e-marketing as a primary driver for our programs and benefits. Informz gave us the ability to customize messaging and distribution, and manage our member experience more than previous solutions. "Very flexible and easy to use"
The ability to swap around sections in individual email templates, and also the target group segmenting options. Their customer service is also terrific. Lack of integration to Salesforce. I also liked the previous CMS interface better. This is a terrific platform for mass email marketing, with a lot of automation features and great email templating, email testing, and scheduling features. We send out a large number of emails to different target markets, and Informz gives us the flexibility to address almost all of our needs. "Great product and outstanding client service"
I love the quick service I receive from the Informz team. When our contact is out of the office, there's always a back-up person who responds so promptly. You know you can rely on them to get back to you and help address any issues or questions you have. Sometimes when you lay out text or images in the templates, they don't actually look like that when you send the e-mails. That's a little frustrating. We have been more cognizant of how often we're reaching out to our audiences and have started to take a closer look at the metrics Informz provides to us. These help us adjust our messages to make them even more effective. This is an ongoing process. The marketing and email statistical information is very thorough and helpful. My advisor always quickly responds to questions, and if there are problems, they are tenacious about resolving them. The navigational menu system can be overwhelming with all the different options. We initially used them because they integrate with our member database, but they've added features through the years that I think makes them one of the top companies to do email marketing with. We're really not taking advantage of all they have to offer, the new automated marketing section would probably benefit most businesses, but we don't have our ducks in a row to use it yet. "Managing big email blasts never seemed so easy"
I love the easy to use html formatting. Informz has actually helped me progress in my knowledge of html since I started using it last year in April. Nothing really. There are some days where I put in a formatting wrong but that's user error, not Informz. I can send out blasts that are optimized and we get less unsubscribes. It's easy to view past blasts and to copy them to make sure all of our correspondence is identical and it isn't sporadic. "Useful tools - we've only scratched the surface of what it can do for us"
When sending a test email, I'd like to have a way to include a message to the test recipient. Also, sometimes when switching between folders there is a lag and the mailings don't appear without refreshing the view or switching folders to ALL and back again. The product support and training as well as regular webinars are very beneficial to our organization and would help any company make better use of the many features. Beginning to work on triggered emails which will solve timely engagement issues. If time allows, we would like to do some A/B testing of subject lines as well as more segmentation and targeting. The mailing WYSIWIG editor could be full screen rather than a pop up - but that is it. The ease of communication between the organisation and the members. Informz is integrated, user friendly, up-to-date on trends, always upgrading, and has excellent customer service. We use campaigns/marketing automation, personas, and can't wait for mailing designer. It doesn't do EVERYTHING I want it to do, but 99% is pretty good. Informz solves several business problems. Because of it's integration with imis, we are able to have real-time analytics and writeback for data tracking. We are able to target emails very specifically based on behaviors. We have developed personas and engagement scoring. We are able to host and support several clients on the platform. We use marketing automation to increase sales. I love the versatility of this platform. From the ability to use templates, and import information, to the assistance given by our Account Manager at Informz, this is by far the best program I have used. The company regularly hosts webinars to help develop your skills and support your goals. Lastly, they keep members informed of projects and products in development, getting feedback and allowing for early adopters. They have been great. HTML platforms are difficult for those less than adept at writing code, but their staff are on hand to help. Mass communications to our members has been greatly simplified, as has sending reminders of approaching deadlines. Informz also allows us to gather feedback by reporting on open and click rates, allowing us to track individual and group engagement. "A vital tool for us"
The support for Australian users is responsive and useful. It seems they will go out of your way to find solutions to your needs. I for one know that I've asked Informz the most wild ideas and they have got back to me with helpful way to implement my ideas. Really not much. Sometimes updates will roll out that will take away features that I found useful. There was also one hiccup where our company lost a great deal of analytics data from out of no where. Informz doesn't seem to keep backups of client data on their servers so one has to be cautious and keep constant reports saved locally. Our entire EDM system is run through informz. We have been approached with other alternatives but seem to find no reason to move on when comparing how feature rich informz is. We have been able to completely customise our membership and customer communications through informz. And there is still more that we can do, it is the perfect tool for anyone with an iMIS based database. I like the feeling that if I have a problem or question, I can get in touch with Laura Layton and she'll immediately assist me. The only thing I dislike is that sometimes Informz is not as responsive as I would like - as in the case of loading mailings. I would use Informz for newsletters, bulletins and other email communications for its ease of use, but especially for the stellar staff. My job is to communicate with our members and Informz is a great platform on which to do this. "Informz helps me with email communication"
The platform is very easy to use and customer service is always eager to help answer questions or direct me to where I need to go. You have to pay for some pre-made templates. It also does not integrate with Naylor's Timberlake yet. We are using Informz to send out all of our email communications to our members like our weekly e-newsletter and our conference information to attendees.